The book sketches the life of Ellie , the main protagonist, with each stage of her life journey being portrayed in varied shades , the shades being of human emotions , in its ultimate rawness . Ellie , as a toddler , is seen residing in Britain, with her parents and her elder brother Joe . As the blurb of the book rightly hints , the story has its basement rooted to the bonding of the love and friendship Ellie and Joe share with each other as siblings , though a multitude of characters are close knit to them as the story progresses . There is Mr . Golan who instills awe in Ellie with grueling stories of his prison life , unfortunately , the true intention leading to his softness being quite a contrast to what it seemed to be for Ellie . And there incepts her first case of molestation . If one person could read the laments of her broken heart vying the façade of joy she faked possessing , it was her brother Joe . Her parents are seen drowning in problems of their own , her father being chased by a ghost of guilt from his past, concerning a case of molestation he won against a girl . Then there is Nancy , her aunt , a lesbian and a rising Hollywoodstar , who nurtures deep feelings for Ellie’s mother , a fact which is sort of a widely known secret . Ellie shares an emotive bond with her aunt , a bond which probably is much stronger than her relation with her parents . Joe’s rugby mate and close friend Charlie proves to be more than just a close friend to Joe . To Ellie’s dismay , she stumbles upon them in one of their private moments as lovers , an incident which she discusses with her brother later , and thus it grabs a slot in their book of secrets . Her life takes a rough turn with her parents coming up with an unbelievable decision to move to America, a period of emotional wretchedness for both Ellie and Joe . But the fact which perturbs Ellie the most is the thought of leaving behind Jenny Penny , her best friend , for whom she used to be the life line . Jenny is constantly haunted by the wreck , her family is , with her mother dating a series of men , one after the other . 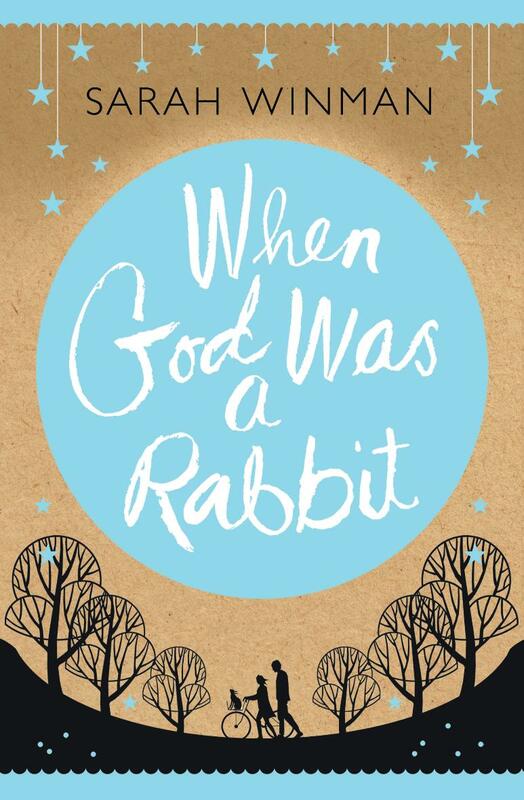 Then there is God , the rabbit which Joe presented Ellie with one day , whose spoken words Ellie alone could decipher . The rabbit , according to Joe would satiate her need for a loyal companion in times of unhappiness , an act which polishes his love for his little sister . In the new place , ellie is mesmerized by the green foliage surrounding her house and trekking the forest becomes one of her favourite past times , another being cruising the sea adjacent to her house on their boat . During one of those stints she befriends Arthur , an extensively read fellow , who eventually finds his long – yearned – for niche in Ellie’s home . Thus sprouts the friendship between Arthur and her family . Arthur’s love interest Ginger frequents their house at times , though she herself had soft spots towards a Mr. X , but that story gets eventually buried as an unrequited love story . Joe’s character is underplayed in these sequences with him pursuing education at a far away place and we donot see much of him . The first part of the story ends with Ellie sending a present , a fossil , along with a note to Jenny , on Nancy’s advice, a gesture which is an affirmation of the intensity of friendship Ellie cherished in her heart . In the second part of the story , Ellie resurfaces as a 27 year old single woman , a journalist , yet not quite a happy person at heart . She is dragging through her life, accepting her near ones problems to be her’s as well . Ginger is fighting cancer, Jenny and Charlie reconnects in important albeit different ways, Arthur is old yet lively . Joe’s life is yanked to a halt owing to a gut wrenching incident, the unfolding of his normal self makes up the rest of the story . The title and the synopsis of the content is what made me grab this book in the first place . A story which is woven around the lives of a brother and a sister is almost unavoidable and alluring enough for someone who is a sister herself, I assume . The cover is mesmerizing to say the least , but the blurb throws off a wrong signal that the content might be childish , the title being one with the essence of fantasy oozing all over it . But yes , do remember the age old maxim to never judge a book by its cover or maybe its blurb , in this context . The character I loved the most is that of Ellie , the dreamy girl , who irks at the idea of being tied down to one place . She loves to explore , is compassionate and caring , and is an epitome of friendship and love in all its purity . The story , though proclaims of being about the relation between a brother and sister , I would say , the story deals about the strength of Ellie’s relation with both her brother and her best friend Jenny . In every page , the author has sprinkled a bit of love and its warmth , which is heart warming to the core . The book is synonymous of a multi layered cake , baked with chunks of love , friendship , hope , trust and oneness to its atmost perfection . With every bit you relish one or the other essence , melting into the character deeper and deeper . Ellie shares an endearing bond with all the characters , be it Joe, Jenny, Arthur , Nancy , Ginger or Charlie . Perhaps, the relation between Ellie and her father would be the least explored one . Through Joe , the incidents of Ellie’s childhood is nudged to limelight towards the later parts of the story , something which soaks her mother’s heart in guilt , nonetheless opening the doors to a more meaningful relation between them . It also deserves to be mentioned, how the intensity of the relations are governed by the one to one interactions between the characters , rather than by the prejudice and taboos existing in our society regarding homosexuality. The book teaches us that every one is entitled to one’s mode of life , which in no way should threaten to be in the way of the emotional ties they share with their close ones , nor should it be pushed to the foray of dissections and judgments by unrelated people . Scrape away that impulse to be repulsed by prejudice, accept a person as he or she is and start knowing them. The language and sentence construction is intricate, at times tangled, which makes it not much of an easy read. But then most of the works which stand out in the scene of literature are hard to crack if you are an admirer of light reads. For the same fact , I was left bewildered most of the times at the thought process of the author , which knit together bits of details so admirably ; such a rich and classic experience it has become when transformed into print ! No. this isn’t a book where the story treads a well beaten path. Here, there are side roads, milestones, potholes and evocative strangers who join the journey for a short span of time – ultimately culminating into a well deserved resting point with a path stretching before them, yet to be travelled. The author’s note in the end is a must read . For me , it provided the much needed clarification regarding the fairy tale mode of storytelling in the second half . According to the author, the book is about second chances, about holding onto the one perfect thing in the world; Hope. I was disturbed by how a few incidents turned out in the second half, like as in a perfect world of our dreams. But then the whole thing adds up to the message the author had intended to convey through this book. So, no sorrows. I loved it for its enriched content , remarkable style of writing and for the afterword by the author . Perhaps, this would be one book I would dive into undoubtedly , when in times of dearth of passion that writers shrink into at times .